Nike Kovac has hailed his Bayern Munich side's dominant win over Hoffenheim on their return from the Bundesliga's winter break, challenging them to now push on and catch leaders Borussia Dortmund. A brace from German international Leon Goretzka rounded off an impressive first half performance for Bayern, as Kovac’s side continued their good run of form. Nico Schulz grabbed a goal back for the home side in the second half before Robert Lewandowski sealed the three points, scoring from close range with a few mintues remaining to give the reigning champions their sixth win on the bounce. ​Bayern started the game of on the front foot, controlling most of the possession and capitalising in wide areas as Hoffenheim struggled to contain Joshua Kimmich and Kingsley Coman throughout the 90 minutes. ​Quoted by ​Bayern's official website after the match, Kovac said: "The first half was sensational. That was our ambition, that's what we're able to do. The result is good, we got off to a good start to the second half of the season and increased the pressure." That result allowed Bayern to close the gap on ​Dortm​und to just three points ahead of the leaders' clash with RB Leipzig on Saturday evening. 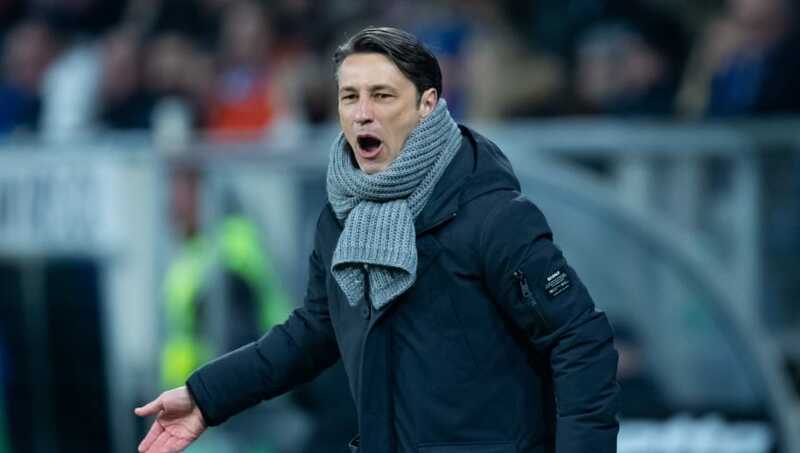 Kovac has rallied his team to better results recently as they edge closer to their rivals, the Croatian insisting that they are ready to chase down Dortmund to battle for the title. Kovac added “We're the hunters, we want to chase Dortmund. We want to chase and seal the championship title. The decisive thing is to be at the top at the end of the season." ​Munich's win spoiled a special occasion for opposing manager Julian Nagelsmann. The 31 year-old celebrated his 100th game in charge of Hoffenheim in the ​Bundesliga, but Kovac’s side swept the young manager aside as they continue to aim for the top of the table. ​Bayern are next in Bundesliga action when they host relegation fighting Stuttgart at the Allianz Arena next Sunday.